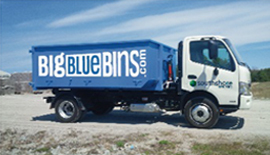 Big Blue Bins landscape delivery service delivers the product needed for the job, leaves you with the empty bin to fill back up and Big Blue Bins disposal bin rental service picks it up when you're done. 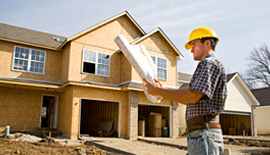 Renovating a room in your home? We have a bin for trash to go in. Time to purge all your household garbage. 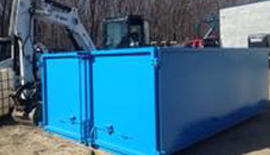 Give us a call and we will send out a bin to put it all in. 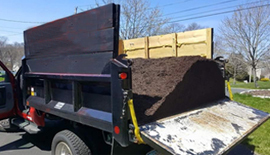 Looking for soil, mulch, limestone or other landscape supplies. We can pick up the product and deliver it for you. Copyright 2017. Big Blue Bins. All Right Reserved.